Realtor.com: Should You Really Trust Your Gut When Choosing a Home? 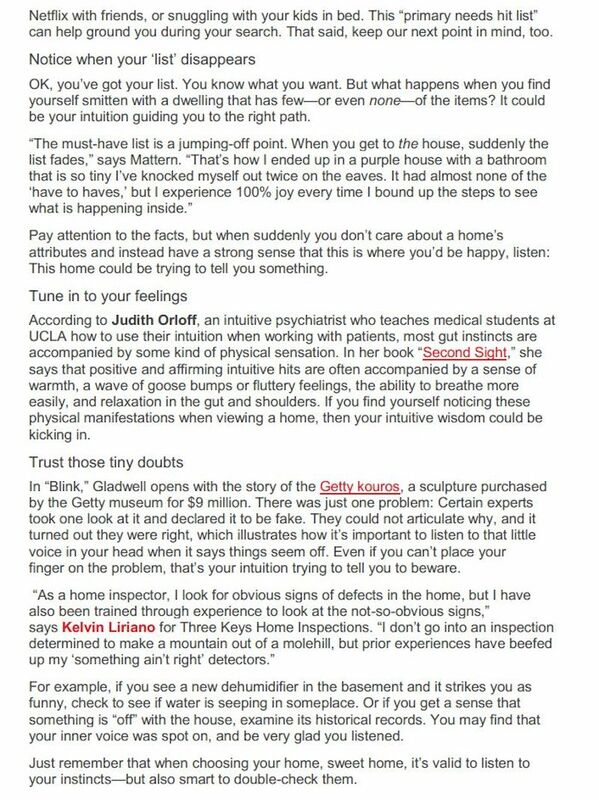 In my private psychiatric practice, I work with people to develop their intuition. Intuition is the ability to know something from a sense of instinct rather than simply conscious reasoning. It is an inner knowing which is accessible to us all and it can guide us through life. Scientists believe it operates through the right side of the brain and through our gut, producing that gut-feeling so many of us can recognize. This gut-feeling or intuitive impulse is often accompanied by a sense of warmth and relaxation in the gut and shoulders. 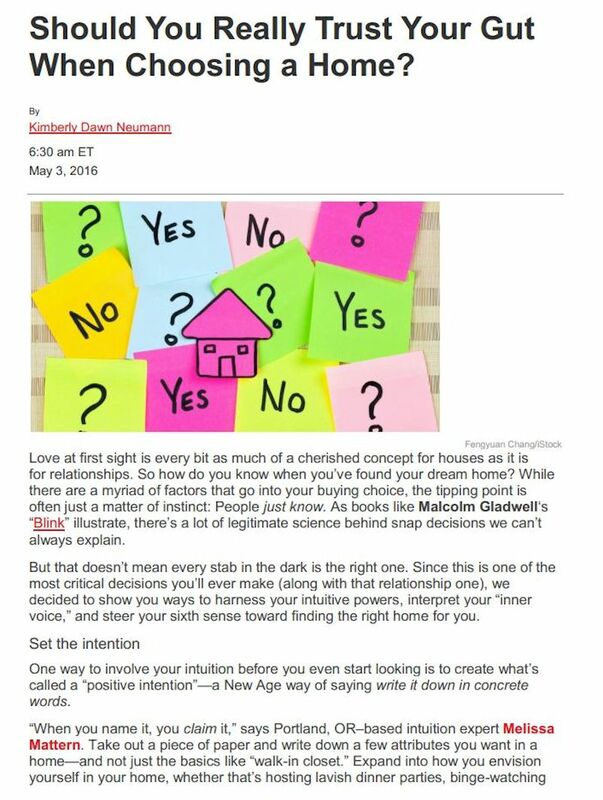 In this Realtor.com article, I share signs that your intuition may be kicking in when making important decisions such as buying a home. Read the full article on Realtor.com here.